It’s been a bit of a while since I last blogged. There has been a lot going on but one of the highlights was the consecration of Adrian as Bishop of Stepney in St. Pauls Cathedral on Friday. The day was brilliant and it was a real privilege to see our friend consecrated as a bishop is such amazing surroundings by the the Archbishop of Canterbury. The sadness and loss still hurt but they are no longer the focus. Our prayers go with Adrian and we share in the excitement that the church has appointed a bishop of the calibre of someone like Adrian. We shall all be watching with interest to see the great things that will continue with this mans ministry. 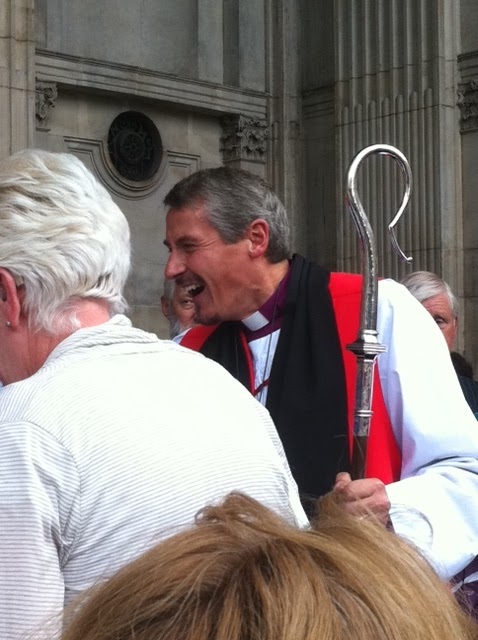 An exciting day for Adrian and Gill, and exciting day for the London Diocese … but surely an exciting day for the whole church! This entry was posted in bishop, church by robryan65. Bookmark the permalink.